This Clip-On Heat Sink for 14 and 16 DIP ICs is great for keeping your robot’s motor driver chips cool. 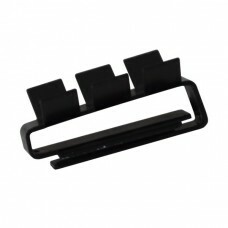 They have a black anodized finish with angled radiator fins and simply slide onto your 14 or 16 pin DIP. These heat sinks work great with our motor driver ICs.